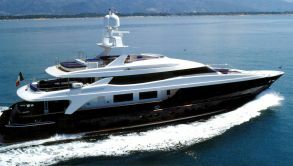 Next option could be kos symi leros lipsi patmos, naxos, mykonos and return to Bodrum during a weekly yacht charter Bodrum. third option is the beautiful Gokova bay where you can enjoy cokertme, marmaris by karacasogut and okluk or english cove to return to karaada during 5 or 7 days yacht charter Bodrum. Offers a large yacht charter Turkey and worldwide. your dream yacht charter in Turkey..